Authors of the 2006 paper said they were unable to provide the original unedited scans “due to inadequate archiving dating back almost 10 years.” The authors — with the exception of the first author, Sushil Kumar Pathak, apologized for the error. Two papers by an overlapping group of researchers in Italy have been retracted for manipulated figures. In late 2013, perennial tipster Clare Francis sent their concerns about several papers, including the two that have been retracted, by authors who frequently publish together. One of the papers, in the Journal of Neurochemistry, is from a team led by Ferdinando Nicoletti; four other papers from the group have been criticized on PubPeer for image manipulation, which he addressed via email with us. The second retracted paper, from the Journal of Immunology, has shares one author with the first: Patrizia Di Iorio of the University of Chieti, though according to Nicoletti she had no role in preparing the figures. 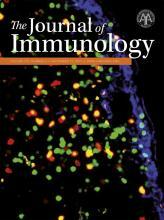 The Journal of Immunology has retracted a 2011 paper on T cell activity after the authors decided they couldn’t stand by the reliability of the work.